The union of the three unit circles in the coordinate planes is the minimum set of the degree 6 polynomial, that has the surfaces of this animation as level sets. Borromean of ortho-ellipses. 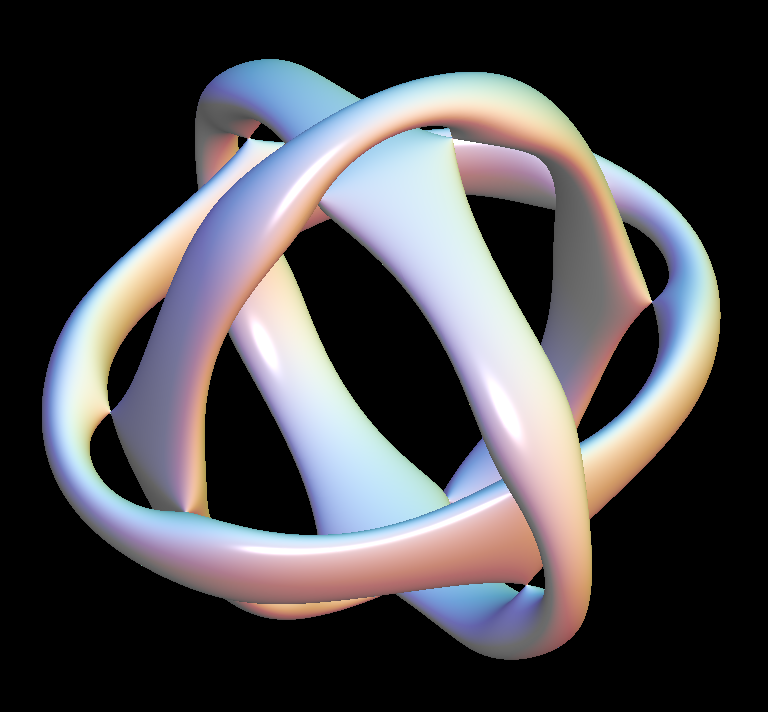 In this animation the minimum set of a polynomial function is changed from three intersecting circles to three ellipses which form a Borromean link. 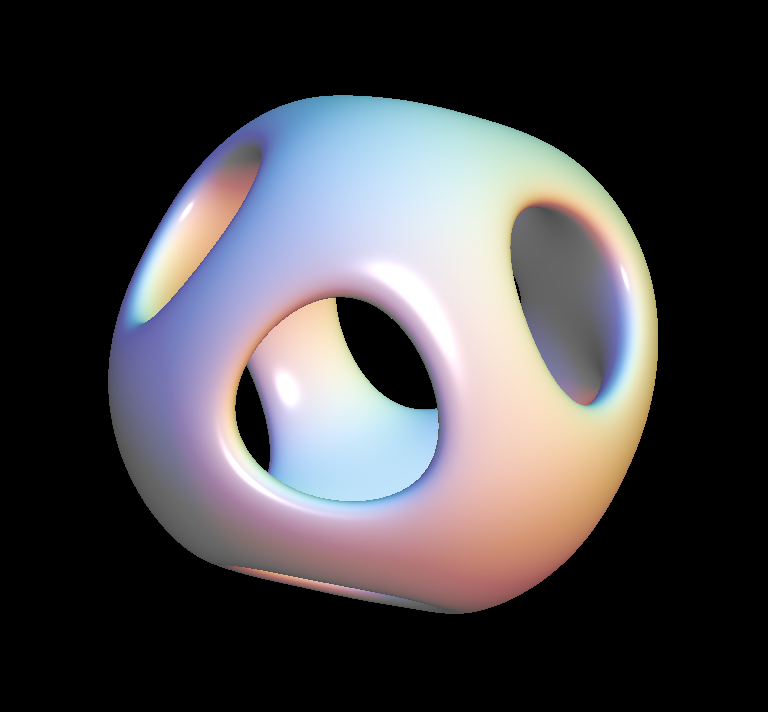 Borromean of ortho-ellipses. 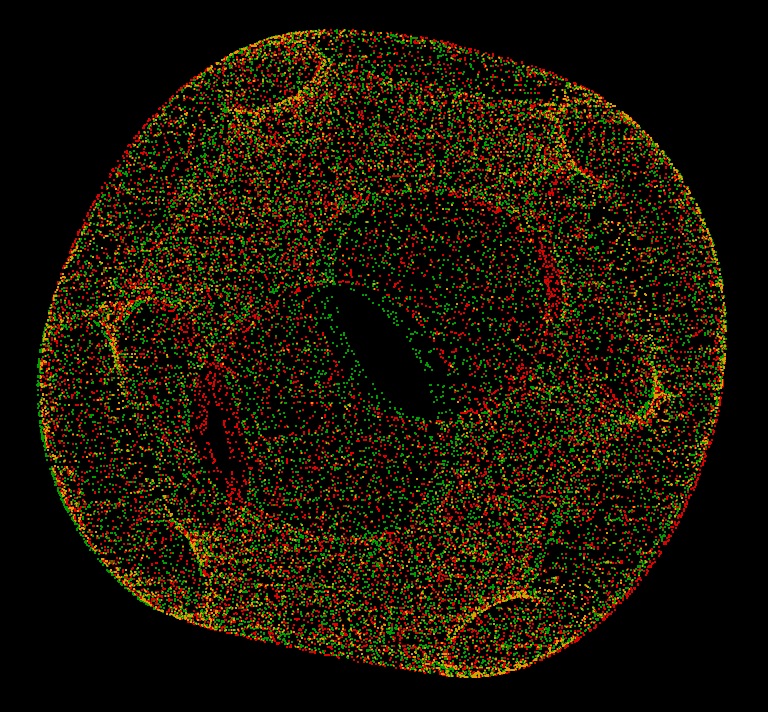 The singular level has 12 conical singularities. 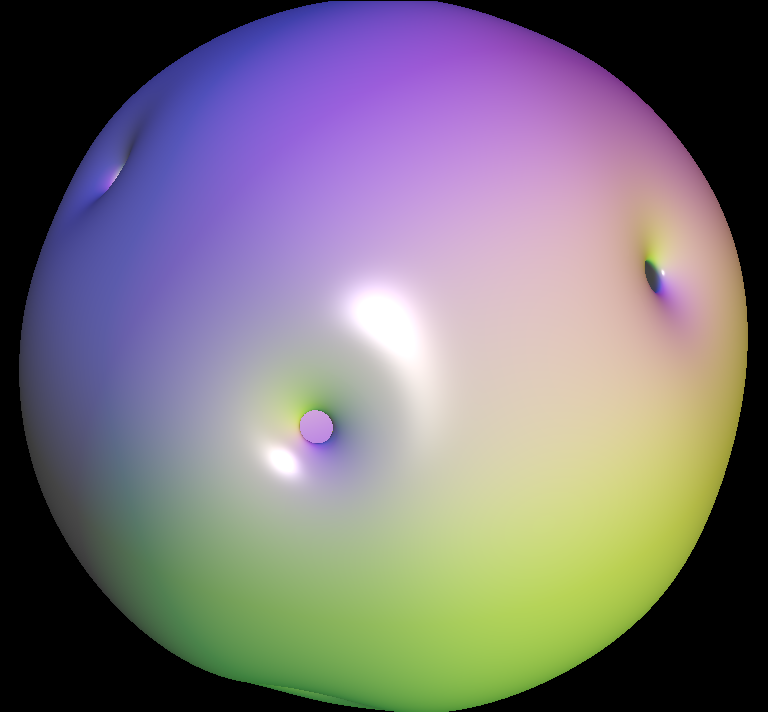 This animation shows how the points of the first image move along the gradient lines of the function to the minimum set, the three unit circles in the coordinate planes.